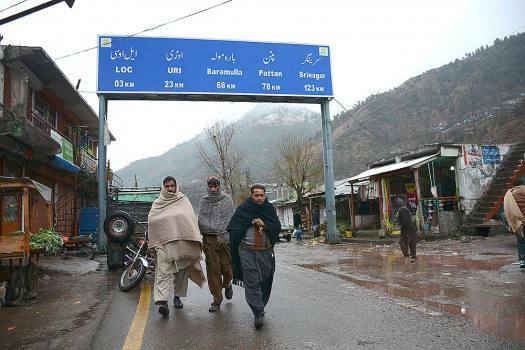 People walk through the border town of Chakoti at the Line of Control in Pakistan. 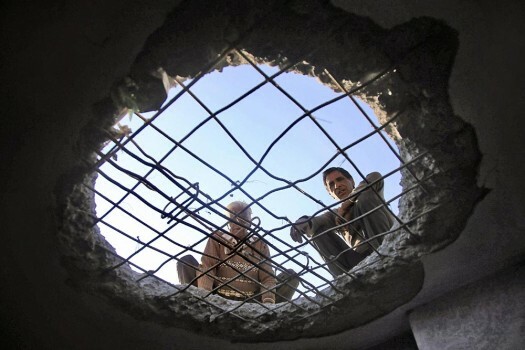 People climb out of a bunker built outside their home in border town of Chakoti situated at the Line of Control in Pakistan. 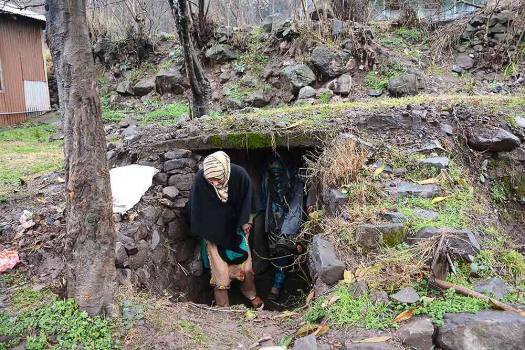 Villagers take shelter in a safer place after heavy shelling from Pakistan side along the line of control in Rajouri district in Jammu. 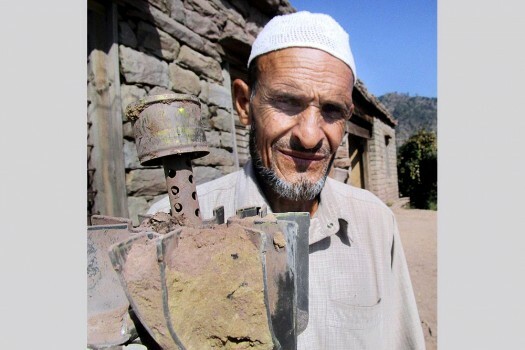 A villager shows a parts of a mortar shell fired from across the LOC by Pakistan in village Panjgrain, Rajouri district, in Jammu. 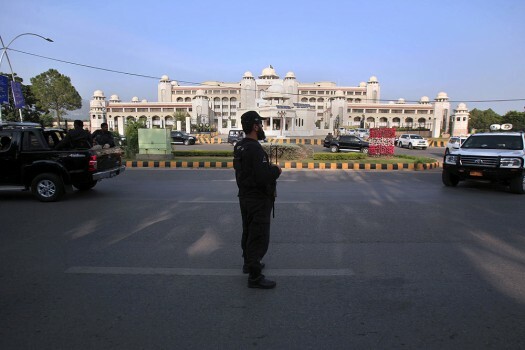 A police commando stands guard while vehicles of Pakistani top officials leave after attending an all parties conference in Islamabad, Pakistan. 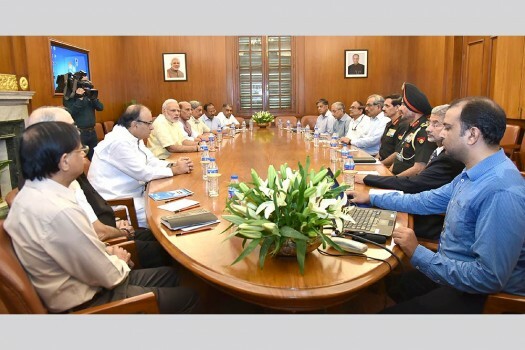 The Prime Minister, Shri Narendra Modi chairing the CCS meeting on the situation on LoC, in New Delhi. 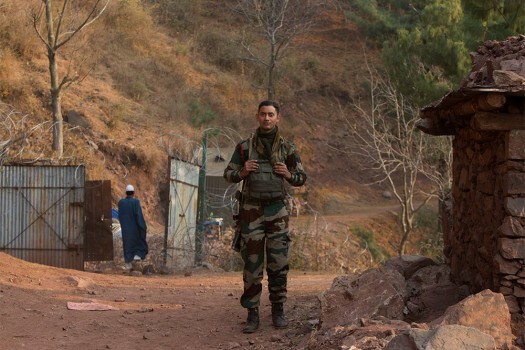 BSF personnel patrol along thw international border (IB) at Octroi post in Jammu, J&K. After receiving the consignment, traders on the Indian side sell California almonds at the prevailing market price and make an extra and undue profit due to the under-invoicing. 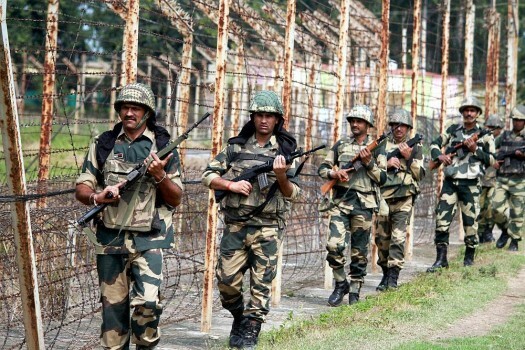 Pakistani Army initiated unprovoked ceasefire violation by shelling with mortars and firing of small arms along the LoC in Nowshera sector of Rajouri district. 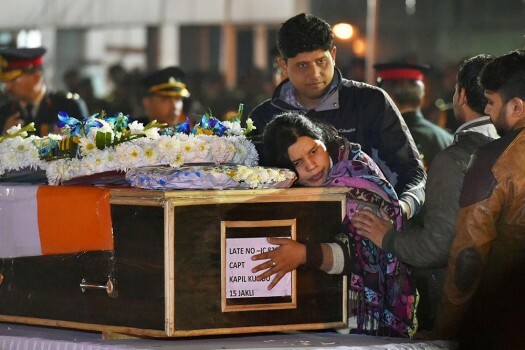 A defence spokesman said Pakistan violated the ceasefire around 7.40 am by shelling mortars and firing with small arms along the LoC in Shahpur and Kerni sectors of Poonch district. The Pakistan Army on Sunday targeted forward posts and villages along the LoC in Rajouri district with mortars and small arms firing, a Defence spokesman said. This week's briefing would be attended by a number of prominent leaders from the opposition parties, including former ministers, as they are members of the two committees. 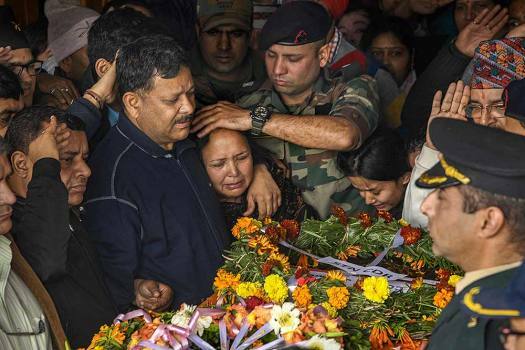 An Army personnel was killed on Sunday in firing by Pakistani troops along the Line of Control (LoC) in Jammu and Kashmir's Poonch district. 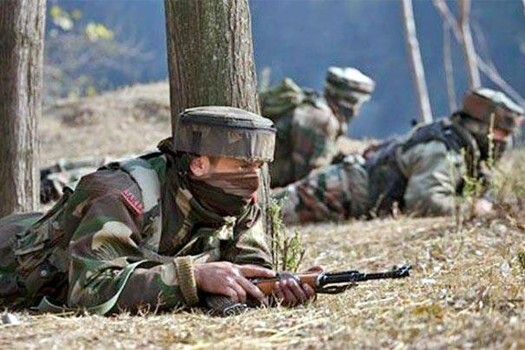 Pakistani troops violated the ceasefire in Keri belt of Sunderbani sector this morning. 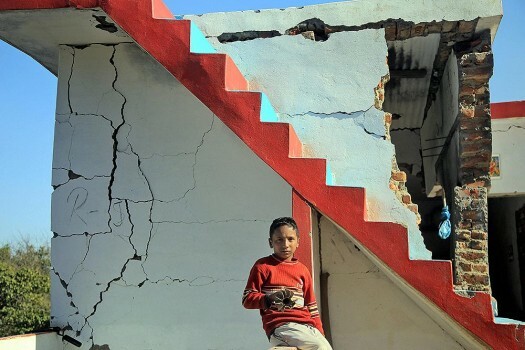 Pakistani troops on Sunday resorted to unprovoked ceasefire violations targeting forward posts and villages at four places along the LoC in Jammu and Kashmir's Poonch district. 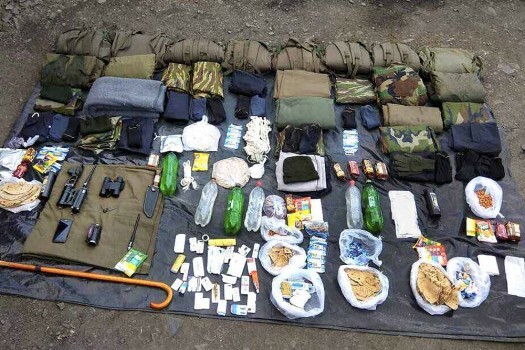 A suspected cross-border narcotics smuggler was arrested with fake Indian currency worth Rs 10 lakh and two kgs of heroin near the LoC in Jammu and Kashmir's Poonch district. In an exclusive interview to Outlook, Lt Gen Bhatt speaks on a range of issues related to insurgency—from Pakistan’s proxy war, increasing number of Kashmiri youth being lured to militancy and on the need for the controversial AFSPA in the Valley. 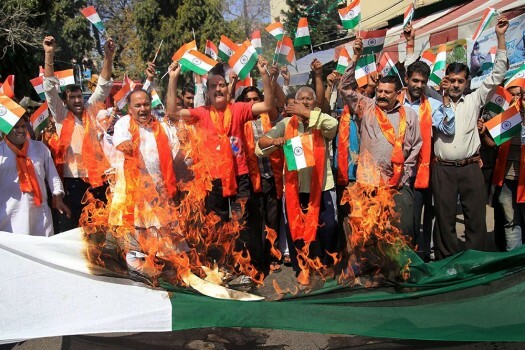 Ruling PDP pushes Vajpayee-era India-Pak talks as a way out of Kashmir violence. Political stunt, cries NC. 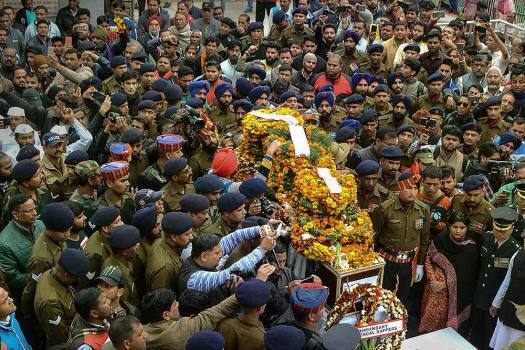 Pakistan’s unusual attack on Indian army posts stirs civil society in J&K. 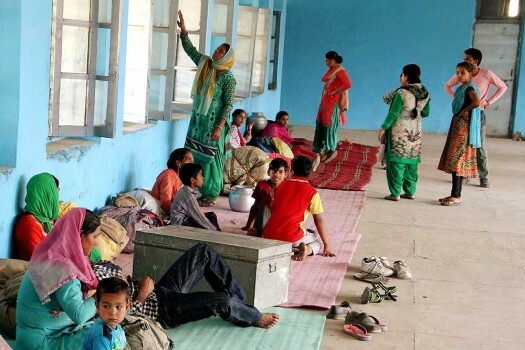 Srinagar is for reconciliation, but the hawks across the LoC have no such intention.